For a long time, I had no interest in visiting London. I had a pre-conceived idea that it was grey and rainy all the time. But like we found when we spent some time in Vancouver, the weather doesn’t really stop you from enjoying these cities! London really has so much to see and do. 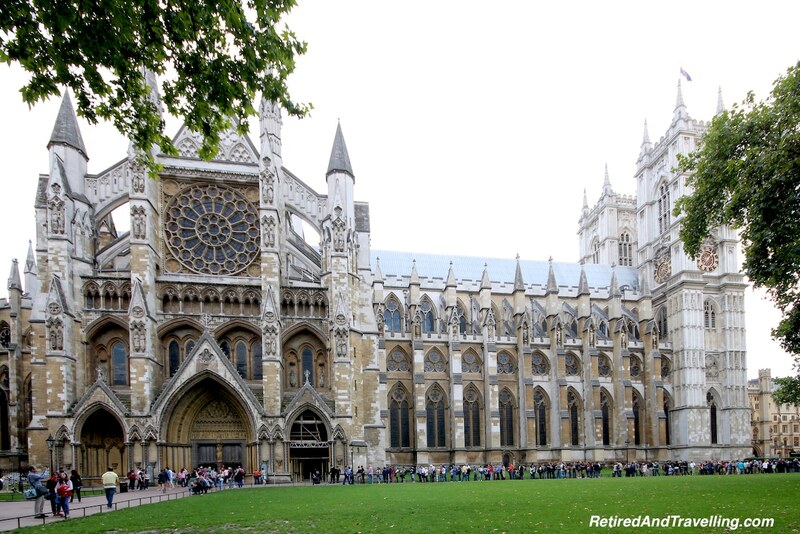 A few tips for visiting London may help your planning. London is a great gateway to other parts of Europe or beyond. While it is a large city and may be expensive, there are ways to watch your budget. With so many well-known tourists spots, you will want to schedule these into your days and nights. If you wander a bit off the beaten path, you will find other gems. We always find it interesting to see a city from different perspectives. 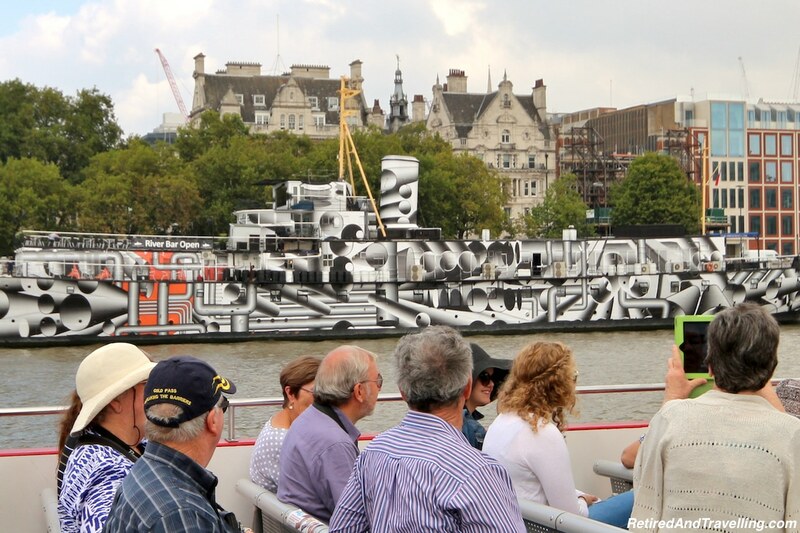 In London, the Thames River runs through the city so a river cruise is a great way to change your perspective. 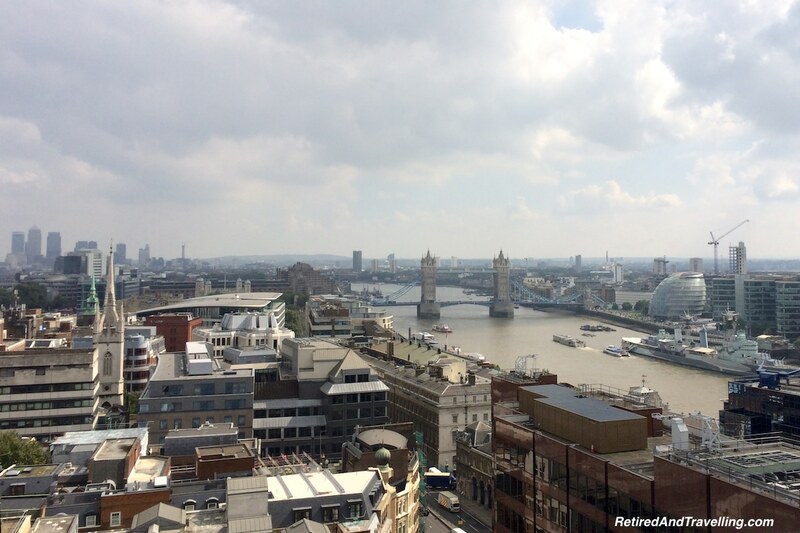 Several high spots in the downtown area give you a birds-eye view of London. There are so many tourist spots in London. 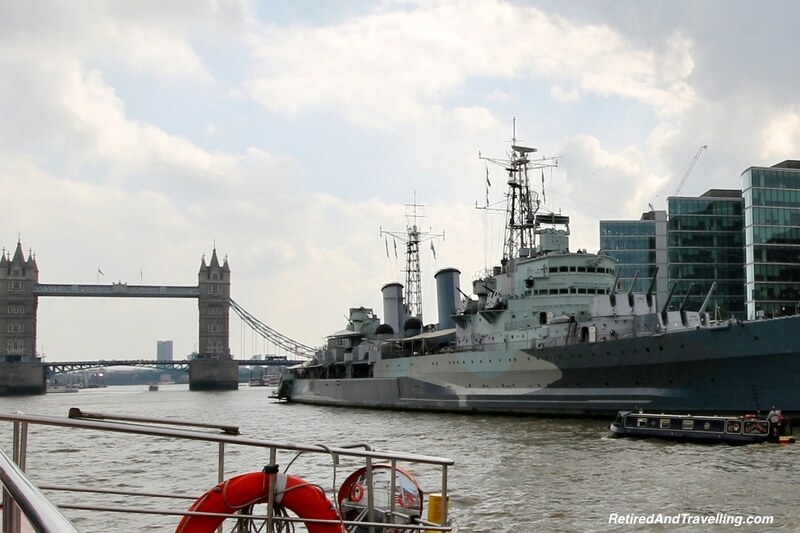 One of our top tips for visiting London is to prioritize the ones you want to see. Factor in days when certain sites may be closed and ensure you are not scheduling too much each day. We try to plan enough time to leisurely visit a site. Local coffee shop stops or drinks on outside patios break up the walking day. We try to do our research about lunch and dinner options close to the sites where we will stop. We then won’t wander aimlessly when we are starved. Protein bars in our backpacks will only get us so far. When in any new city, we are not trying to see it all on one visit! 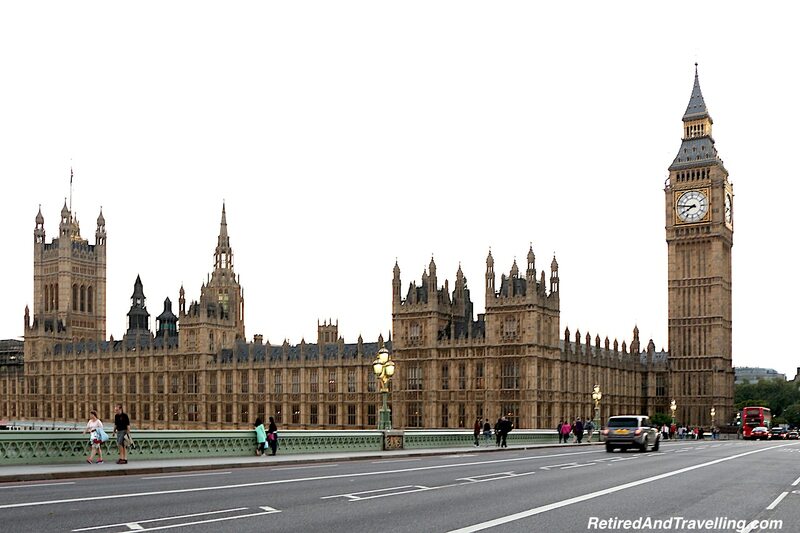 No trip to London is complete without seeing the Westminster Parliament Buildings and Big Ben. 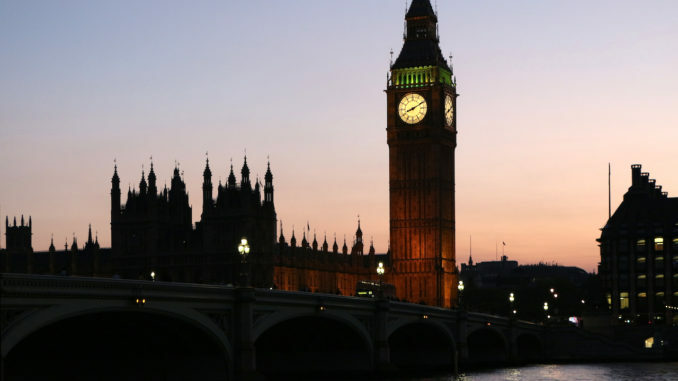 Did you know that Big Ben is the bell and not the clock or the tower? When we visited, Parliament was in session and we were not allowed to go inside. Make sure to check the schedule and plan for an open day if you want to see the inside. We wandered for hours around the outside alone. London is the type of place you could live in for years and still discover something new every day. This sense of wonder and discovery is part of the reason we contacted brinkley’s estate agents to see if it would be financially possible for us to make the move here. 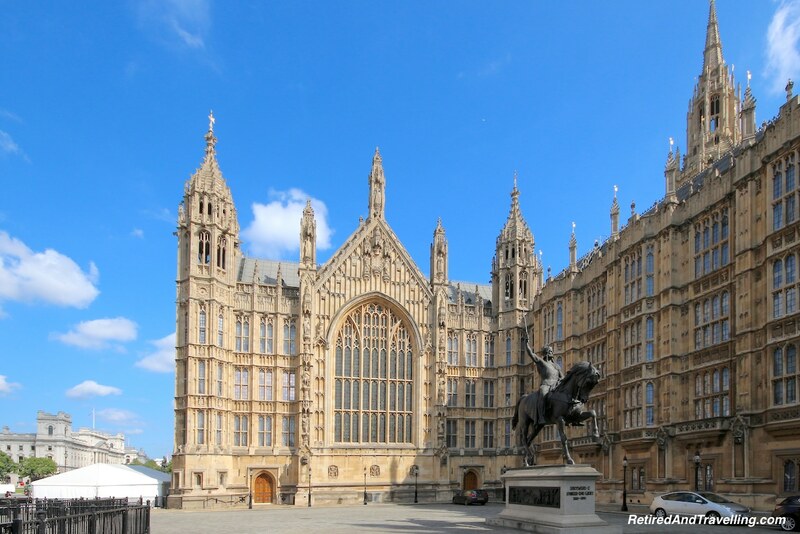 Located close to the Parliament Buildings is Westminster Abbey. Walking all the way around Westminster Abbey, we joined the line for the north door access. Like many tourist attractions, you can buy Fast Path tickets in advance to skip the ticket buying line. We should really do this more often than we do! For this site, the entry fee included an audio guide which provided a great overview of the Abbey, it’s history and pointed out the more famous of the 3,000 people buried at the Abbey. 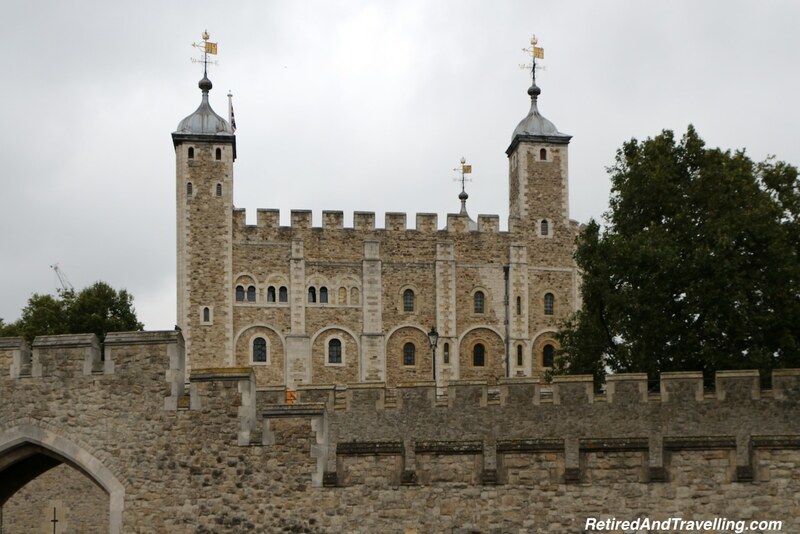 The Tower of London was on our list of things to see on our visit. 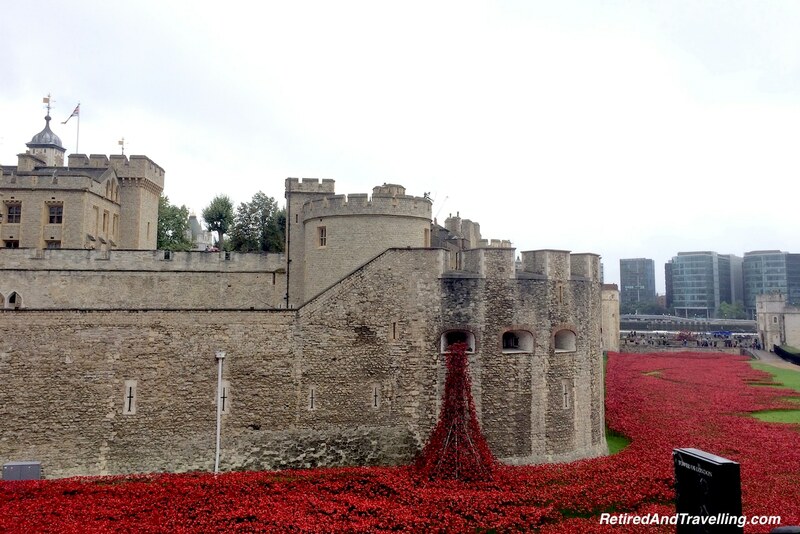 When we visited, the first thing we saw as we approached was a sea of ceramic poppies filling the moat and bleeding down the outer walls. This display called “Blood Swept Lands and Seas of Red” was created to mark the centenary of the outbreak of the First World War. While this display is no longer there, the view of the Tower of London with its large moat is an impressive way to start. We joined in on a public tour to get a good overview of the site and its history. Breaking off from the tour, we wandered on our own to see the Crown Jewels. The site is very large and there is history and art everywhere you look. 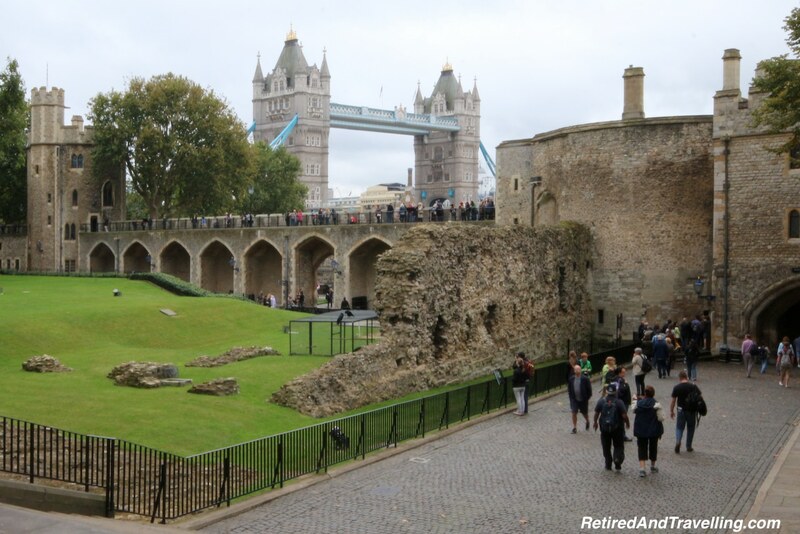 When you leave the Tower of London by the Thames, you will find the Tower Bridge. You can take in this iconic view of London from the shores or stroll across the bridge for more water views of London. On the bridge there is exhibition space and you can even take a tour of the engine rooms that operate this drawbridge. We were not lucky enough to see the bridge open when we were within sight. The scheduled lift times are posted on the Tower Bridge website. 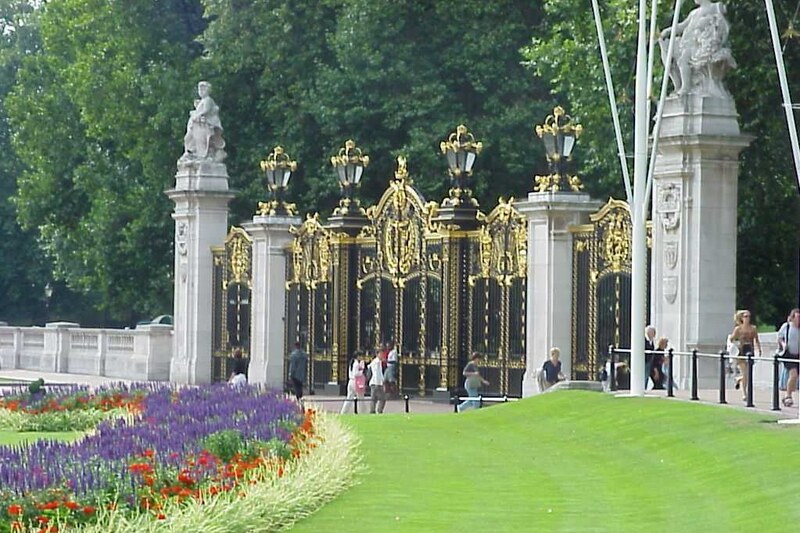 If you like pomp and ceremony, you should put Buckingham Palace on your itinerary. We have seen the changing of the guards in Ottawa and then again in Athens. 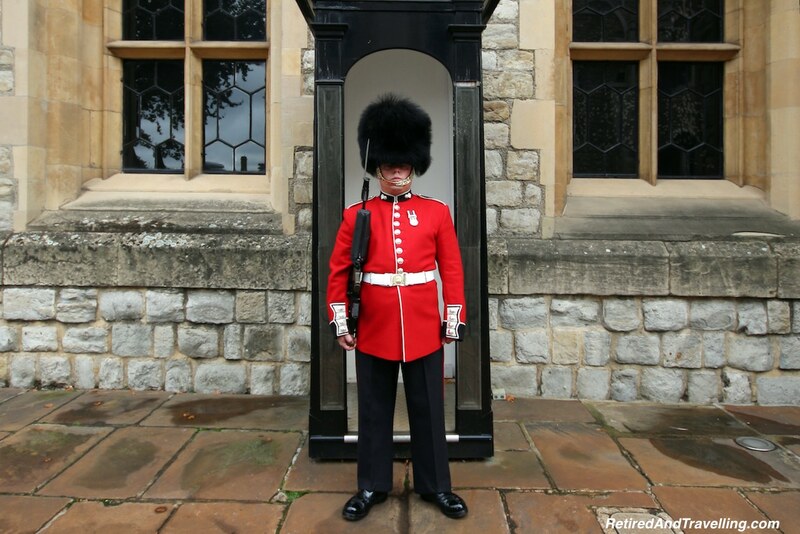 We did not get to add the London changing of the guards on our last trip to London. 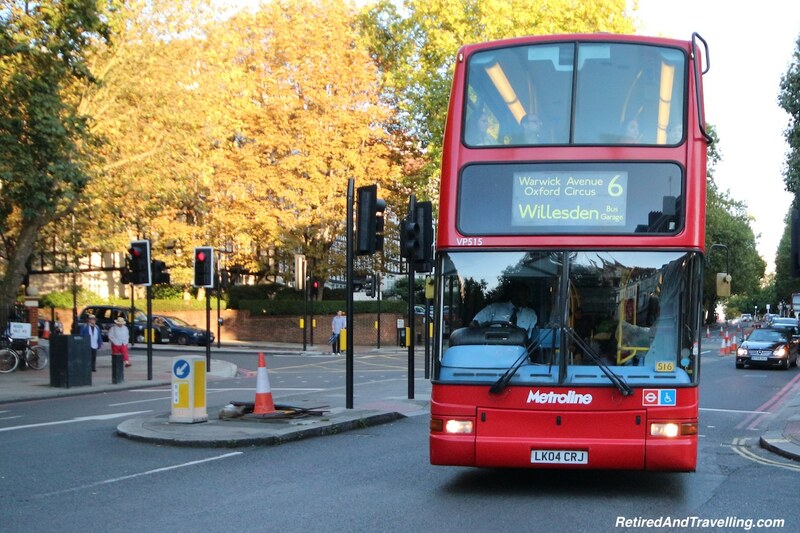 Our advice for travelling in general is also on the list of tips for visiting London. See places from different perspectives! We were excited to see London from on high. 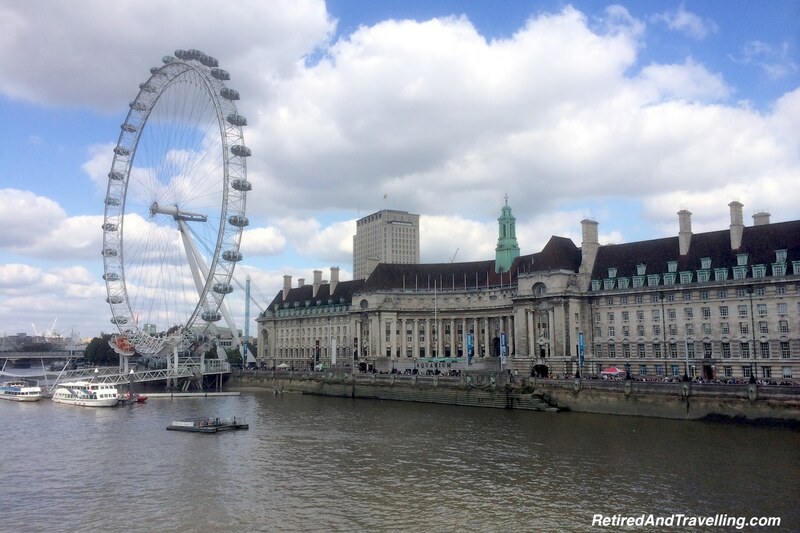 The first thing we chose for this experience was to ride the London Eye. 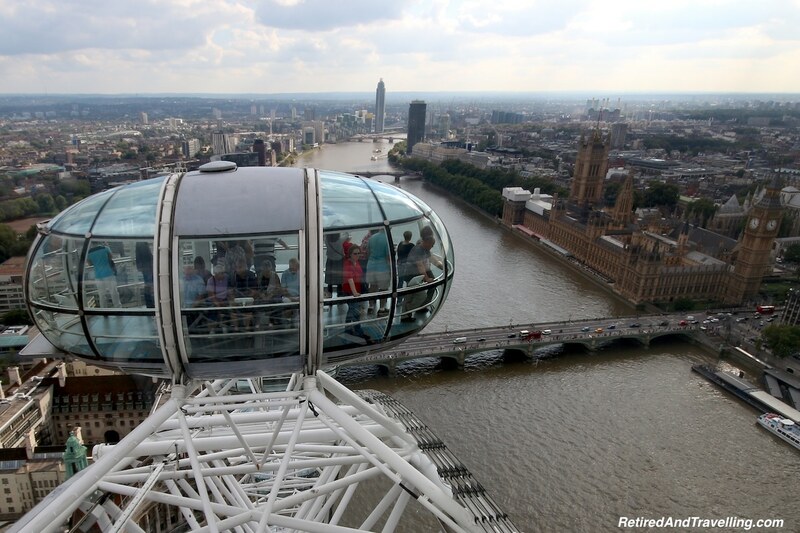 The London Eye capsules are much larger than expected, holding up to 25 people and there are 32 capsules. A full rotation takes about 30 minutes so there is a lot of time to see London in all directions as you to around. The enclosed capsules protect you from the weather and the large windows on all sides ensure you can find a spot for a view. If seeing this panoramic view of London was impressive in the day, it was even more captivating when we went back to ride the London Eye after dark. When we bought our tickets, you could get a discount if you bought both day and night. We certainly wanted to try both views! We did not get a chance to go up the Elizabeth Tower and see Big Ben up close or the views from that perspective. These tickets can be booked in advance online. 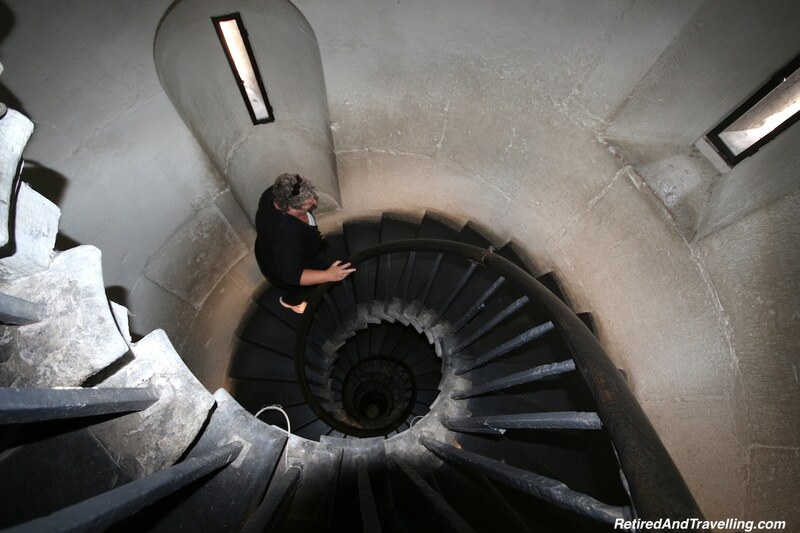 David did however convince me to walk up the 311 steps to the top of the Monument. The view from 202′ up showed the area of old London where the great fire had burned (commemorated by Christopher Wren with this tower). Having seen London from various high perspectives, we made sure we got a river view. 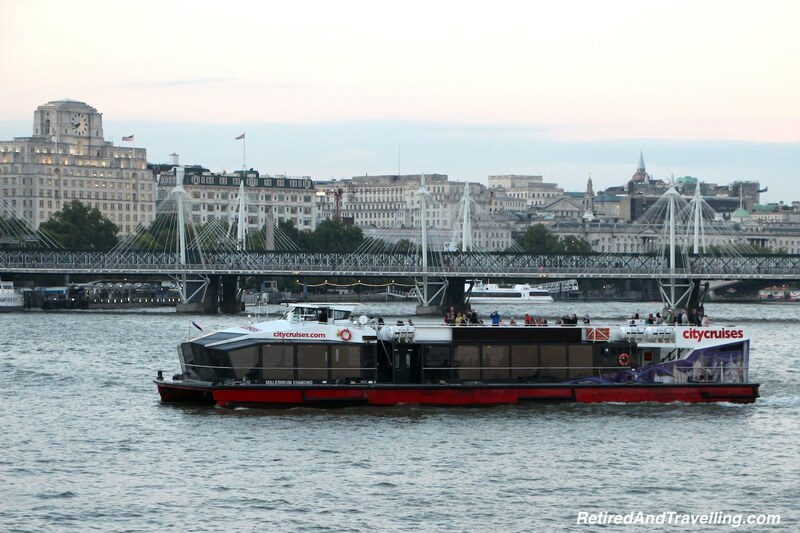 There are a number of different Thames River cruises you can take. You will get a great water perspective on many of the London sites of interest as you move slowly along the river. 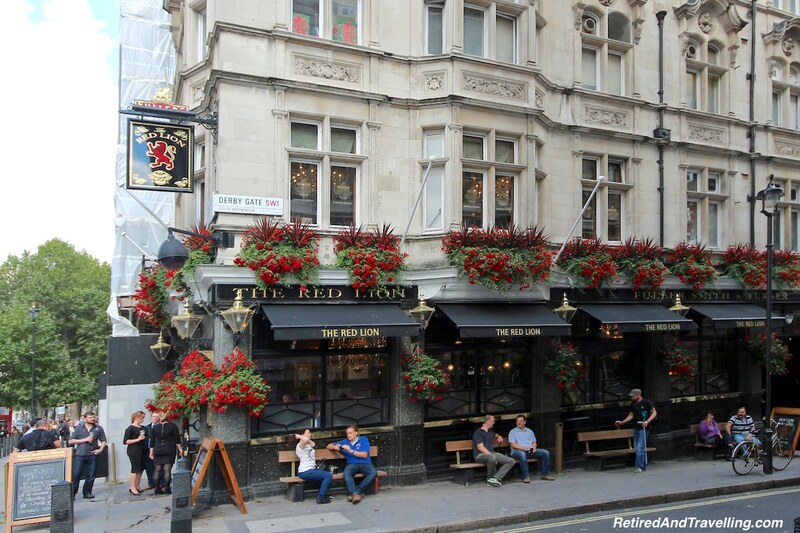 There is so much to see in the downtown area that it may be tempting to limit your exploration of London to that area. 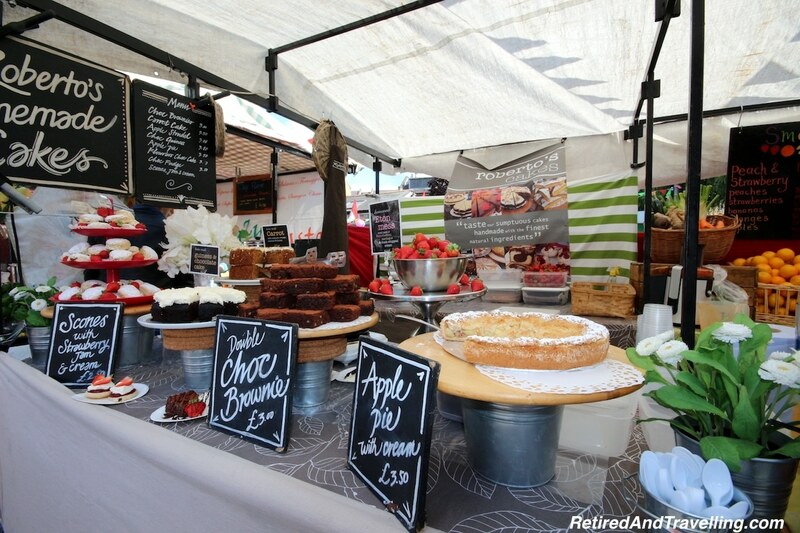 One of our tips for visiting London is to ignore that temptation! We actually stayed out of the downtown area and found several interesting spots in our neighbourhood. 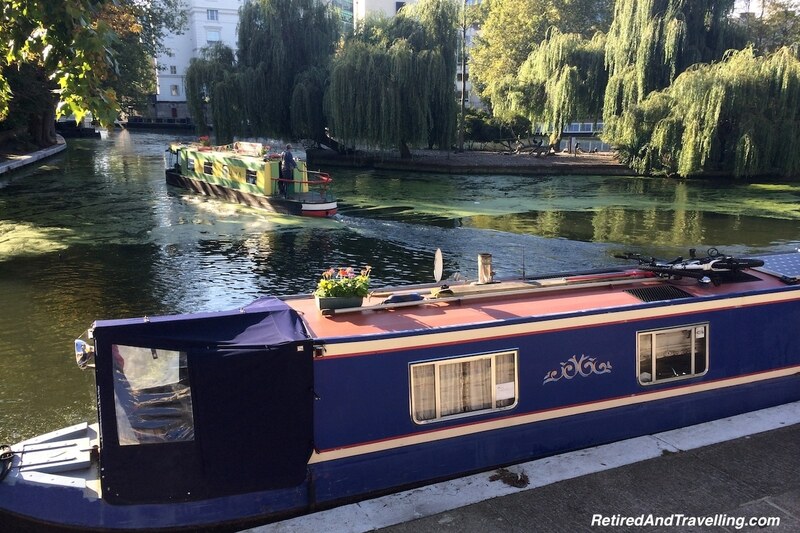 Did you know that there was a canal area in London known as Little Venice? Three waterways (the Grand Union Canal, the Regent’s Canal and Paddington Basin) meet at Browning’s Pool in the area known as Little Venice in London. Walkways, benches and small cafes provide spots to enjoy the picturesque views at Brownings Pool. A small island is home to willows and wildfowl. 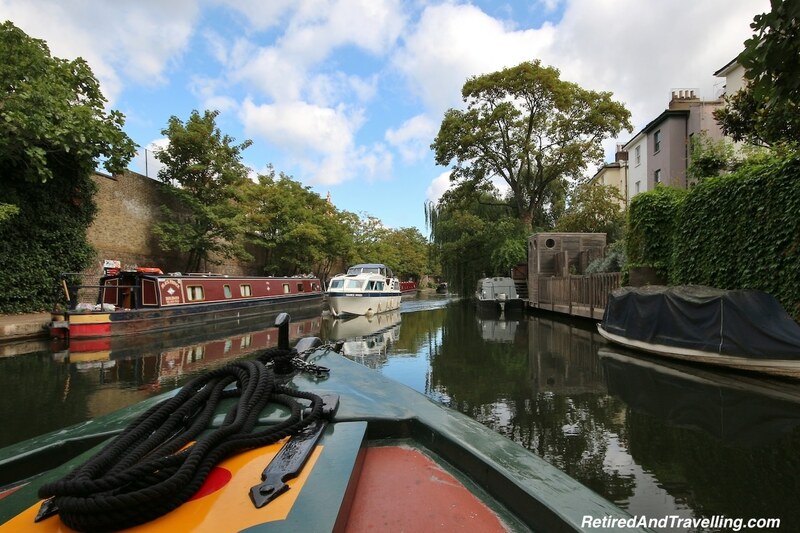 There are canal boats that transit between Brownings Pool and Camden Market along the Regent’s Canal. 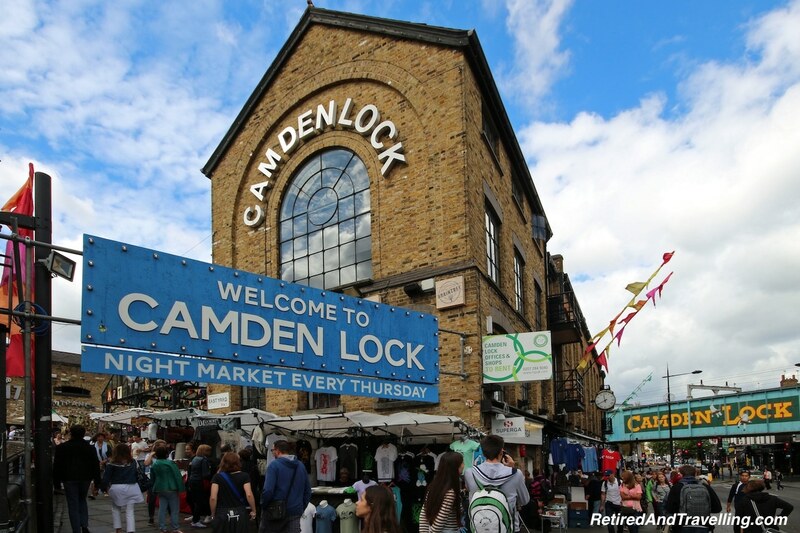 When you reach Camden Market you can enjoy the locks, outdoor market and the lively street entertainment. This was a great find for us when we visited. We certainly never knew about this part of London. 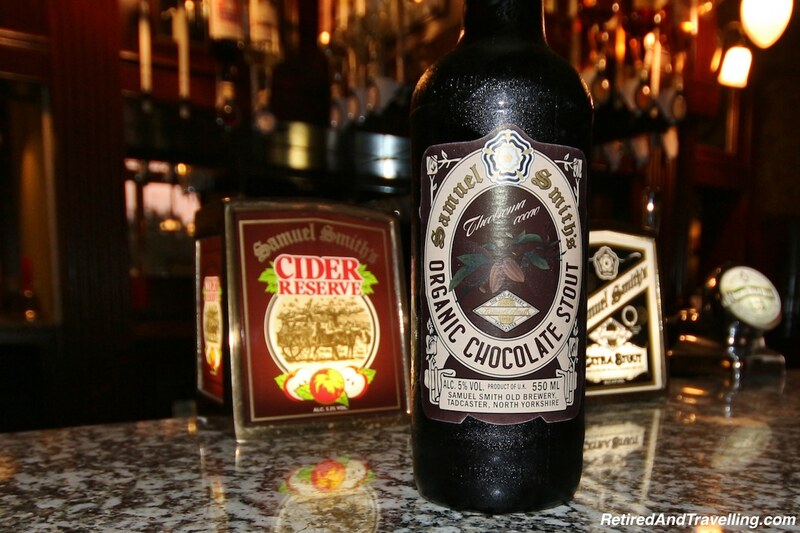 We love it when we find new things off the beaten path. There are lots of other day trips to get out of London if you want to see more than just the city. We considered an outing to see Bath, Windsor Castle & Stone Henge but finally ran out of time. If you are feeling like some beach time, Brighton Beach can be done as a day trip from London. London is a great destination and there is so much to see. But London is also a great gateway city. When I travelled to Ireland on business, I booked a 3 day stop in London as the gateway to Dublin. We also used London as our starting point for our 10 week trip through Italy. It is an easy hop from London if you want to visit the rest of England, Scotland or Ireland. London can also be used as a gateway into other European cities. Once you have done the transatlantic hop from North America, it is a short flight to both major and smaller cities in Europe. If you are looking to save money, you can do it on the second hop from London using one of the many discount carriers operating out of London. There is one caution on using London as a gateway city. There are two major airports in London. 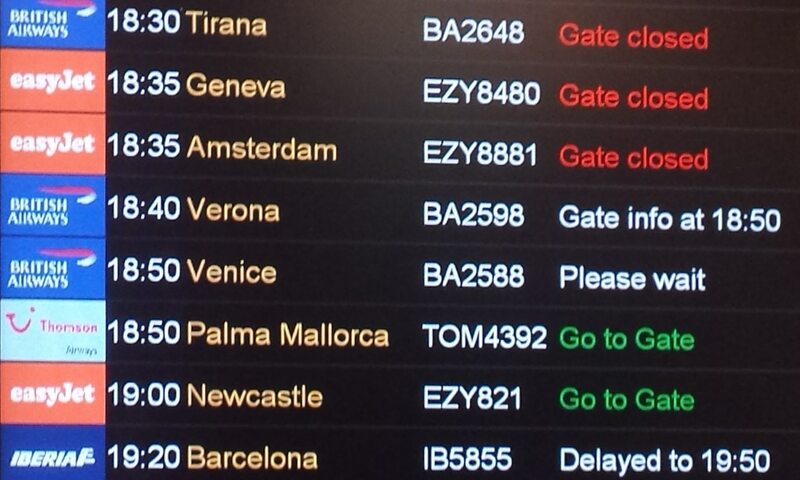 Your flights may not always go in and out of the same airport. The Heathrow and Gatwick Airports are not close together. But there are lots of ways to do the transfer. If you are doing the transfer without a longer stop in London, make sure you have planned for the cost and time to get between airports if required. The one time that I didn’t realize I had to change airports, I sweated my way through a cab ride with my eyes on my watch every second. One of our tips for visiting London … if you want to use London as a gateway city, you can plan for a couple of days in London on each trip. That way you don’t need to cram everything into one trip. We use London much like we use Paris and Rome as gateway cities. Each trip through these gateway cities adds a few more new sites and more time to just stroll like a local. I have always found London expensive. 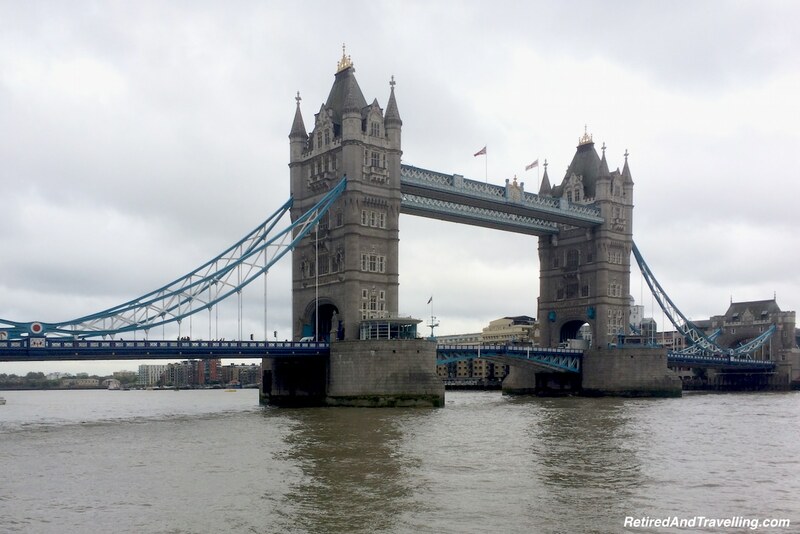 We have a few tips for visiting London and not breaking the bank! There is so much to see and do when you visit. On my very first trip to London, the pound was worth twice what the Canadian dollar was. But prices were not half of those at home! I had to stop doing currency conversions in my head or I would have starved! The pound has dropped from that level but it can still be a bit pricey for some people. While we like to splurge on luxury sometimes, we save money where we can to pay for those splurges. Our first savings tip for most travel is to plan to go in low or shoulder season if possible. This will give you savings on your travel costs. As an added bonus, there will generally be less tourists and shorter lines. Low season is November through March. Shoulder season is April through mid-June and September though October. We often take a Hop-On-Hop-Off bus to get our first view of a new city. In London, we opted to use public transit instead. 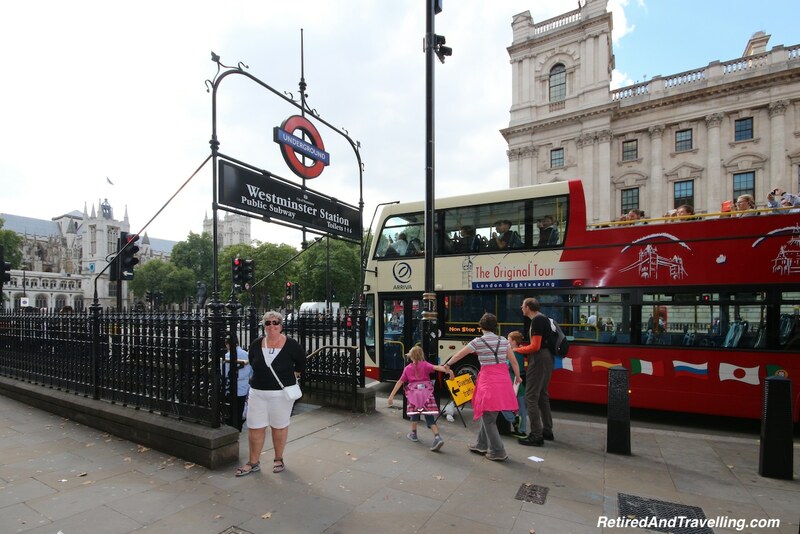 The subway (“tube”) and bus system in London is extensive and usually faster than a cab. We bought an Oyster public transit card and loaded it with enough credit to get us through our stay. We didn’t need to worry about carrying cash to buy tickets. Last time we were there it was not possible to pay in cash on public transit. You may also save money by staying out of the downtown area. 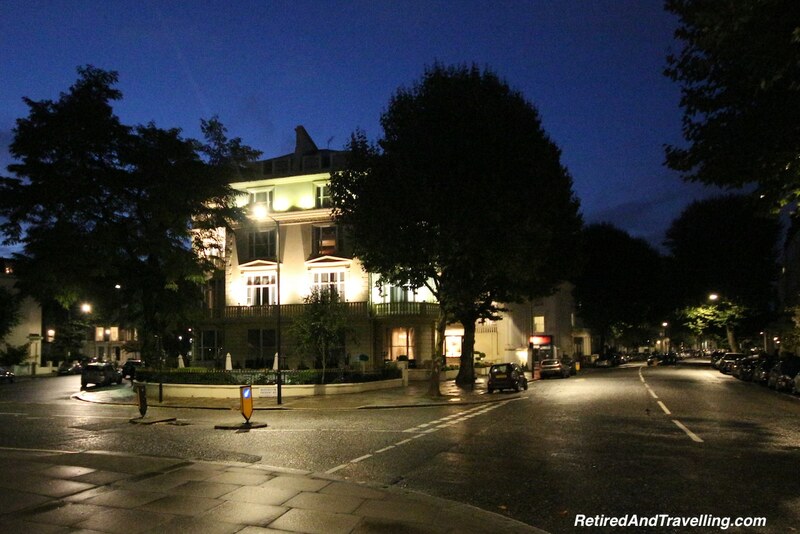 We got a hotel close to Little Venice in a beautiful restored mansion. It was much less than a standard hotel room in the downtown area. There was a subway stop one block from the hotel and lots of places to eat in the neighbourhood. 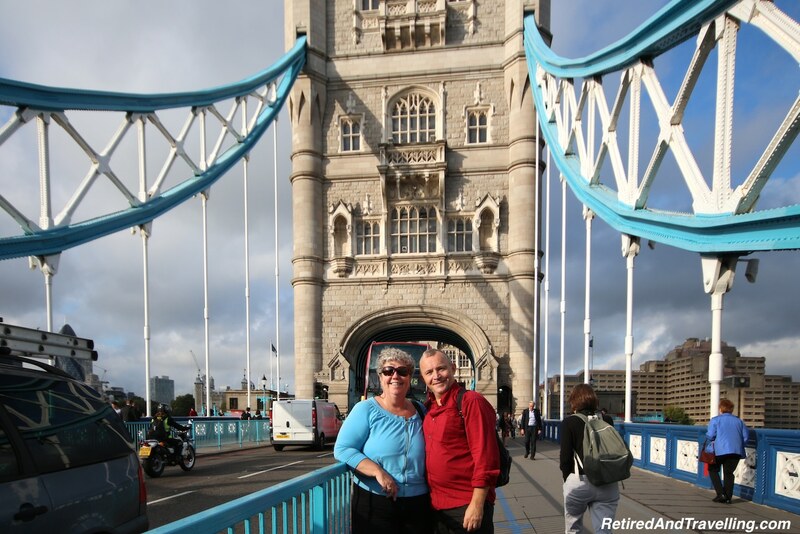 This let us explore a different part of London and still had easy transit access to downtown. We generally try not to eat in restaurants all the time when travelling. We shop at the markets for picnic supplies. In London, the local pubs are often quite reasonable in price. 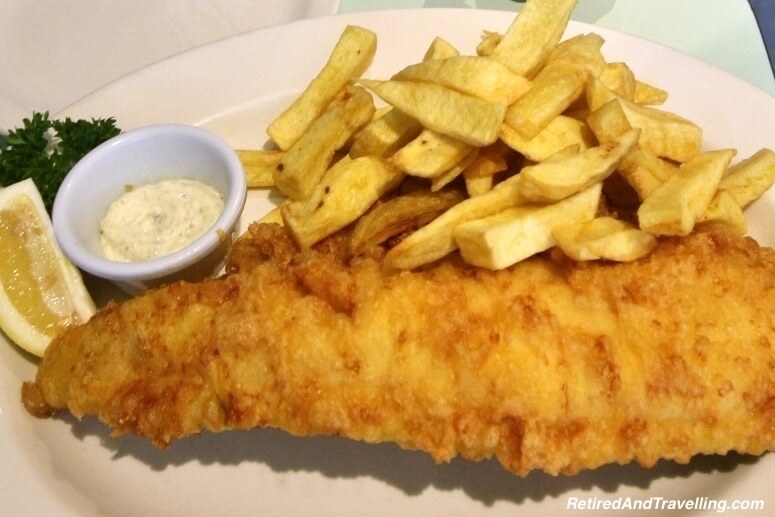 Especially if you are looking for iconic British food! We got a London Pass for our visit to London. 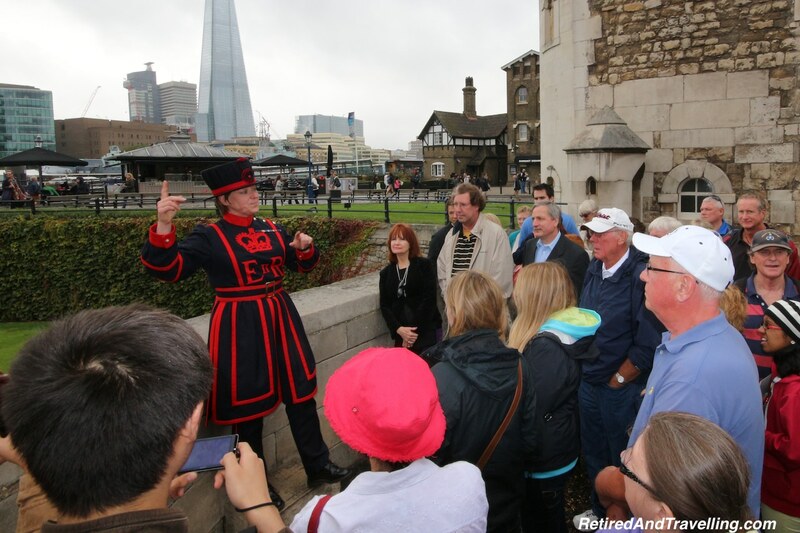 The London Pass gives you free access to many of the major tourist attractions. You can buy it for one or more days. Most of the things we wanted to see were covered on the London Pass but not all. You need to look at the various entrance fees to decide if you will get value from the pass. When we tallied it up, the London Pass saved us money. The risk with having the pass is that you will rush to see as many sites as possible to get your money’s worth. Factor in a reasonable number of places to really see well on any day. The other thing to note is that in most cases, the London Pass does not give you priority access to the sites. You will skip the long ticket purchase lines but not the line to get into the site. There are several locations to buy a London Pass. 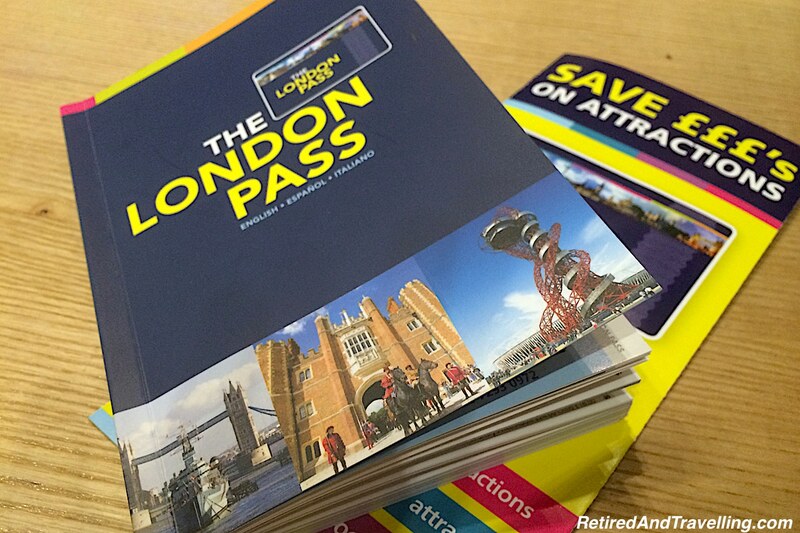 Be prepared that if you buy the London Pass online when you arrive, you will need to pick the pass up in person. 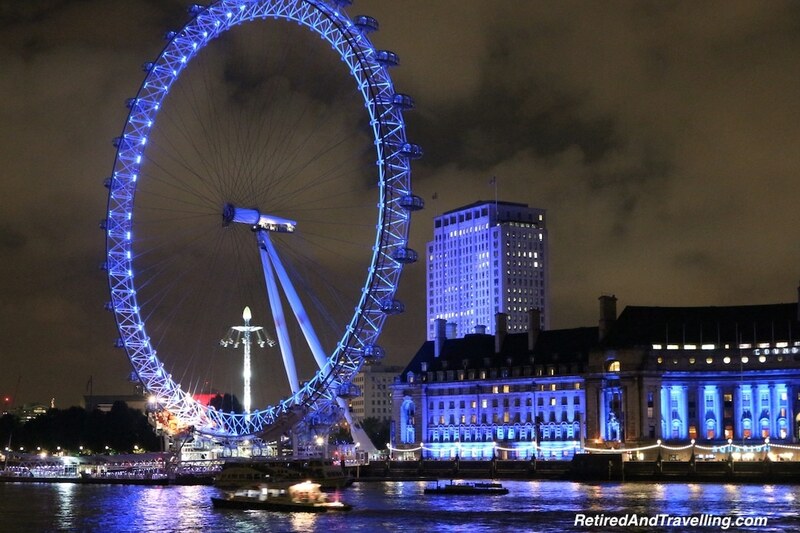 These are just a few of our tips for visiting London. There is so much to see and do when you visit. Each trip we make through London, adds yet another set of experiences. 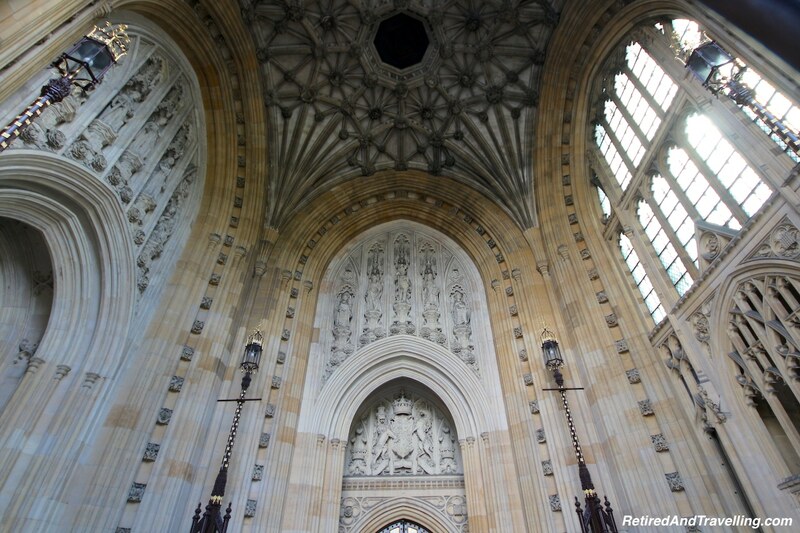 If you explore in the city, you can marvel at the iconic sites that are London. 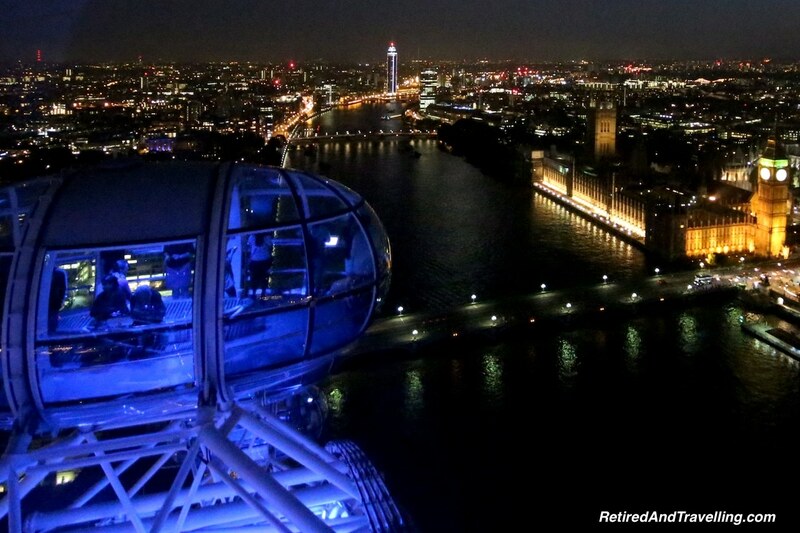 Looking at London from different perspectives can bring a new view to sights you may have already seen. Heading away from the river may add new treasures. If you use London as a gateway, plan to stay a few days between hops. London is a great spot to start your journey.